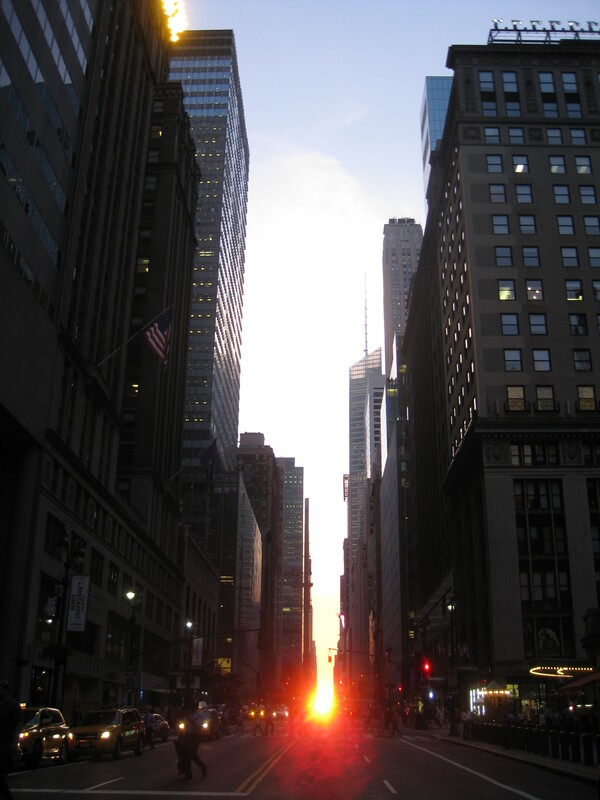 * In other words, it was one of the few days in the year where the setting sun aligns with the East-West streets of Manhattan’s grid system. The AMNH has a very interesting piece about it on their website so do take a look if you’d like to know more. ** Of course it wasn’t on film, I used a digital camera, but “capturing the moment on memory card” sounds rubbish. This entry was posted in Living and tagged sunset by Emma Davidson. Bookmark the permalink.